I’m back with the amazing students from Part II to let you in on what they think. 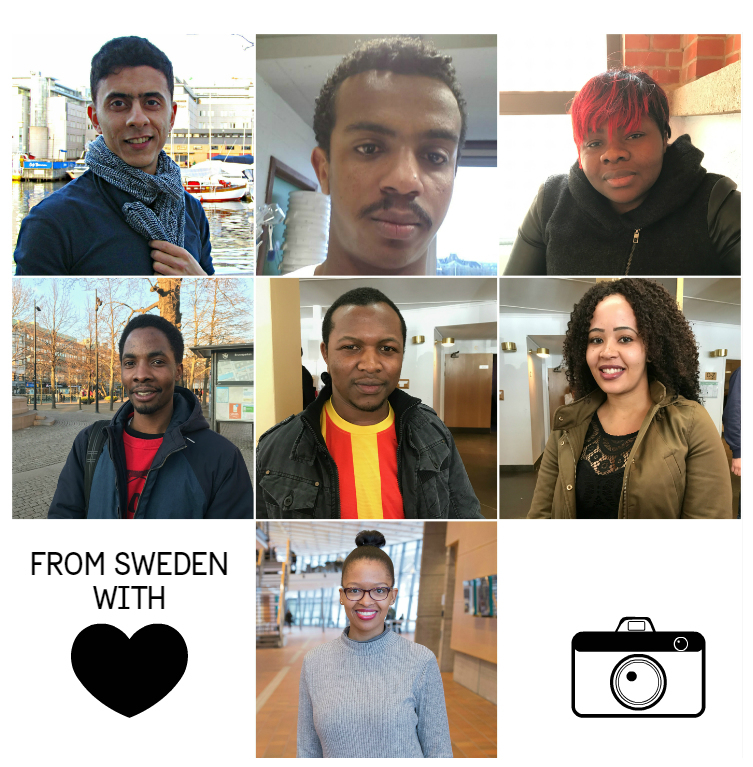 This last one is about the Swedish language and Tips for students from their home countries! 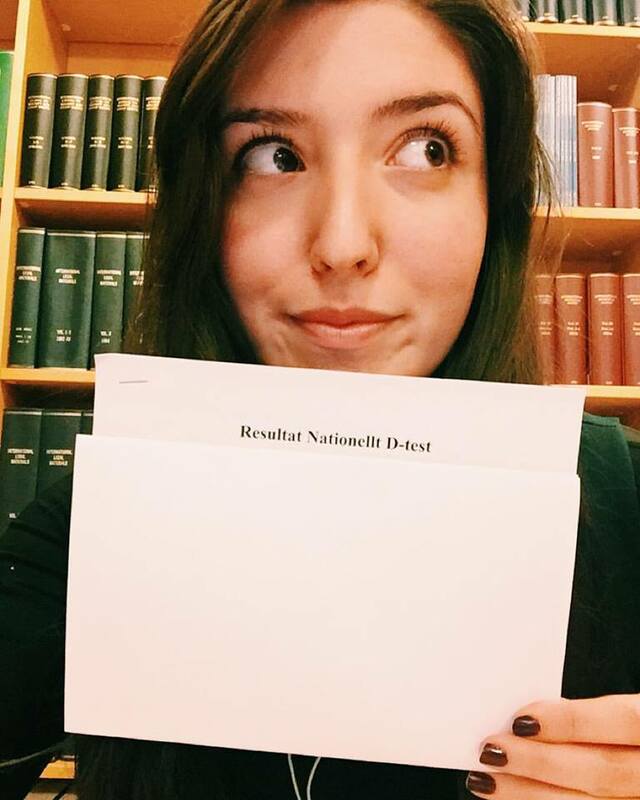 What were your first impressions of the Swedish language? Tebkew: For me it’s a difficult language to understand. The way they pronounce some words is quite hard to mimic. Sussy: My first impression about the swedish language was funny yet interesting. I also discovered words in French and English having similar meanings in swedish. Nomsa: It sounded so difficult, I wondered if I will ever get to speak Swedish, let alone understand it. Thato: I started learning to speak Swedish before I left home. It wasn’t extremely difficult, but of course the alphabet system is very different. On a daily basis I have been able to learn some words and expand my vocabulary. Have you learnt or are you learning Swedish? Mahmoud: Yes I started to learn and follow duolingo. Tebkew: I am learning it now. 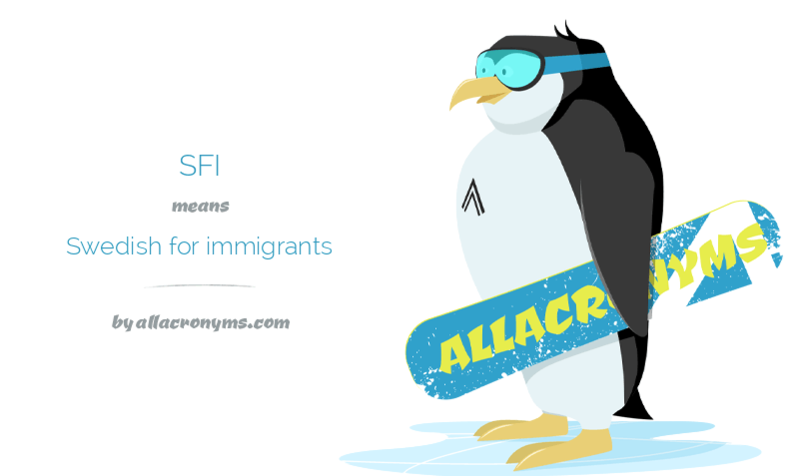 Ronald: Yes, I am learning Swedish at SFI. I have been learning for the last three months. 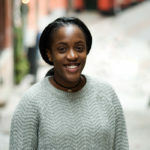 Nomsa: I have on completed the first step in learning Swedish language at university. I am currently on a break, hopefully I will get the strength to continue the next level soon. Thato: I am still learning, although it’s great that most people know how to speak English and willingly switch to accommodate you. The town has a large international community, so it’s easy to communicate and navigate around because English is spoken wherever you go. 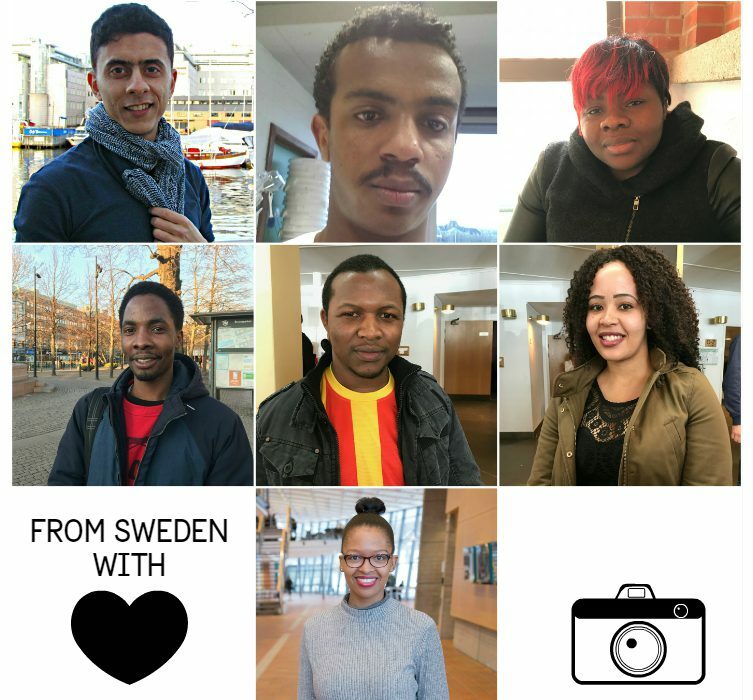 Do you have any tips for students from your country who would like to study in Sweden? Mahmoud: I would advise them to: Know exactly what they want from continuing their studies and to be specific, Search for all available scholarships, Be open to all cultures, Prepare themselves for many changes in studying and life systems. Tebkew: My tip is for future students of my country are to prepare themselves and set their mind for the winter season which I got very challenging. Ronald: I would advise those who wish to come to Sweden to try several scholarships such as SIDA, Swedish Institute Scholarships among others, since is quite expensive to study in Sweden on self-sponsorship. Blessing: Swedish style of learning exposes you to the real world thereby allowing you to solve real problems. In as much as it is more practical with lots of fun activities, it is so intense that one must be prepared to be pushed to the limit. 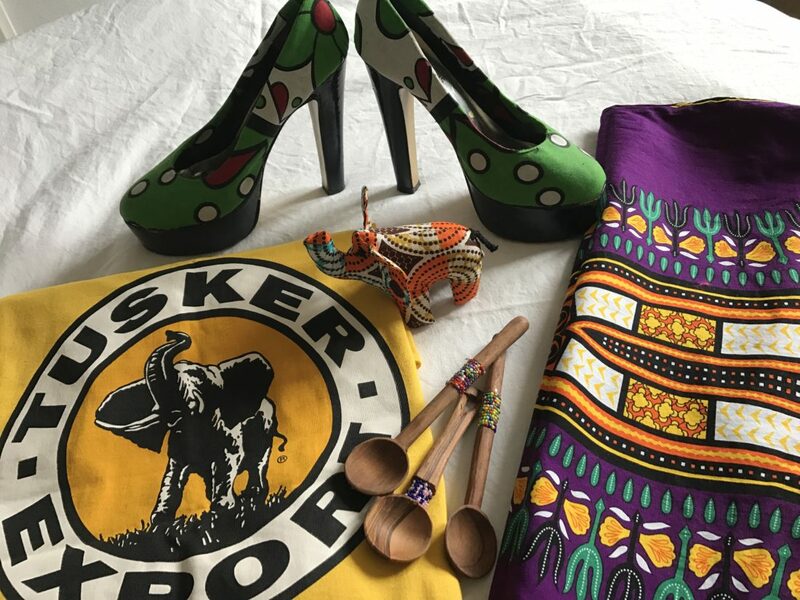 Nomsa: Be open minded, be brave enough to take opportunities presented to you, to come and explore, have fun and enjoy the experience of being in a different country. If you are a change agent, then Sweden is the best country to benchmark. Thato: It’ll be a wonderful adventure, but you must be prepared. Do your research. Read a lot about the university you want to study at and the town you will live in. Secure a scholarship or private funding, tuition and living expenses are high unless of course you can afford it. 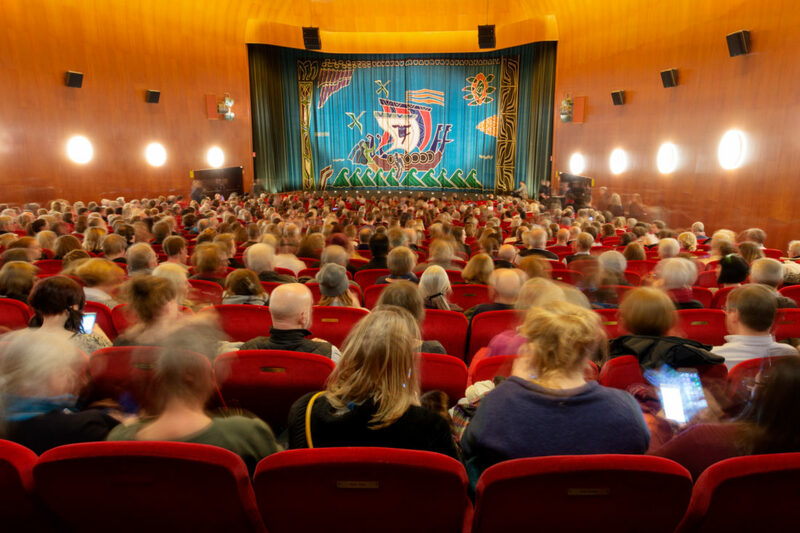 Get to know the practicalities required to move to Sweden. For instance, opening a bank account, what access your residence permit gives you, whether you have to find accommodation yourself or the university assists you. Studying in Sweden is likely to be one of the best experiences you’ll have so if you’re thinking about it then pursue it! There are also great traveling opportunities to go around Europe when you have a break from your studies. Mahmoud: Bring Router, Swedish weather is not as bad as you hear in Egypt, Learn to cook, Study hard in weekdays but have fun in weekends. Tebkew: I advise them to bring ‘berbere’ which is prepared from pepper mixed with different spices and ‘Dirkosh’ which is dried form of Injera. 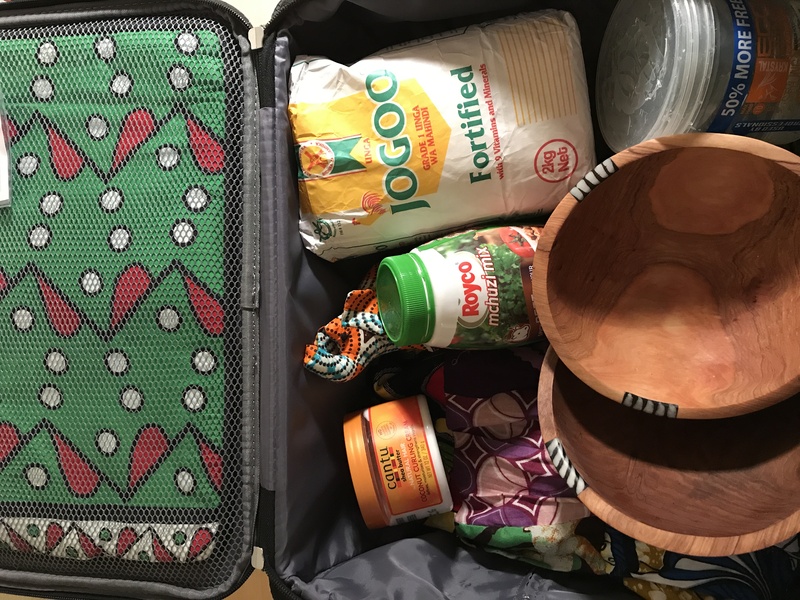 Ronald: Regarding food, it may not be easy to carry lots of food from home but one can try to pack local spices such as Royco and others as you may not easily get them here and some cosmetics and hair accessories such as reusable wigs and weaves for the women. Do not forget to carry some winter wear! Though I would recommend that you buy your winter outfits here. Blessing: If you are coming from Zimbabwe, do not forget to bring your own mealie meal for sadza. A 5Kg packet will do. Temperatures are lower than in Zimbabwe but they are not that bad and all indoor temperatures are controlled. Nomsa: Don’t carry many clothes, just bring a few warm clothes for the first few days when you are still settling in. Carry African attire, to represent Botswana. For the food, if you are into spices, then carry your favorite spices from home. Hair and skin care products are a must, don’t make a mistake of leaving those. Thato: Keep track of all the arrangements when you’re moving your life from South Africa to Sweden. Although it’s very exciting, it’s a big task so keep a journal of everything you do including contact numbers of key persons from the embassy and university. It is advisable to also leave a copy of your passport with a family member should anything happen with your documents. Of course you’ll protect them with your life! You may also have to bring all the originals of your qualifications from home, so check this with your Swedish university before you leave. You are likely to get support from the international office at your university, but take ownership of everything you need to do so that you are well-prepared. Oh, and don’t shop for boots and coats at home. Lol! They’re not suitable for Swedish winters, you’ll shop when you get here for the real snow-resilient stuff! It can get quite cold, but you’ll survive it, maybe even enjoy it. The summers are wonderful, the winters are dark, but fear not because plenty of chocolate and coffee (what the Swedish call fika) will get you through! Do yourself a favor and learn how to ride a bicycle before you leave, chances are that’s going to be your main mode of transport! You don’t want to be a twenty-something-year-old crashing into poles in broad daylight like I did. Enjoy Sweden, study hard and represent our country well! A big thanks to the six students who allowed me to interview them! Can’t wait to FIKA after the summer break. NB: Disclaimer: This post is based on perspective and experiences of the students interviewed. It is not meant to generalize all African students in Sweden perspectives. Congratulations Festus and it’s great that you learnt many things from this post! Thanks Anita and your crew. I have already planned all the spices I’ll bring from home, being from Durban means I prefer more spicier food than most of South Africa. Oh and Thato, I have given up on learning to ride the bike before I started, I’ll just have to rely on my feet, trains and buses.